Last week I hardly could blog about any products but I have lots more coming up in this week so please do keep reading!!! I have almost emptied my night cream jar of Olay anti ageing. And it was time to get something new. I loved Olay night cream it has helped my skin in many ways. But as I have combination skin sometimes I do feel bit oily on my Tzone. It was great for winters but now as spring is starting I thought of getting something gel based which can be used by combination skin and proper enough hydration. 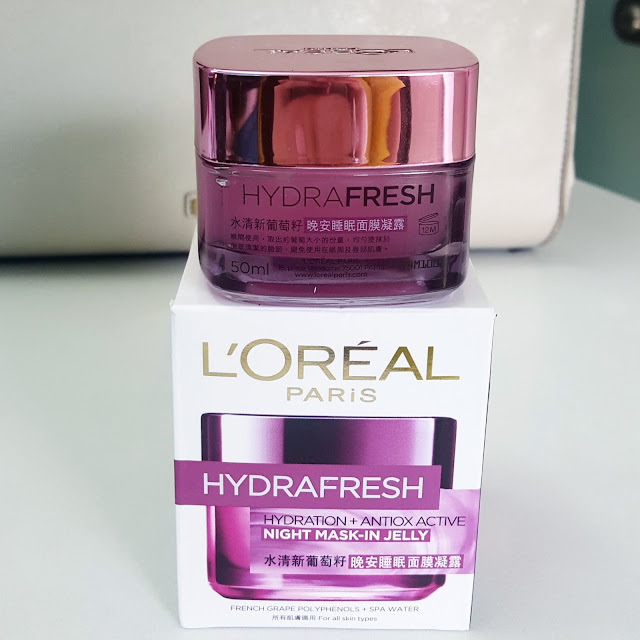 So I have introduced L'OREAL HYDRAFRESH HYDRATION NIGHT MASK JELLY in my night skin care routine and replacing Olay anti-ageing cream. 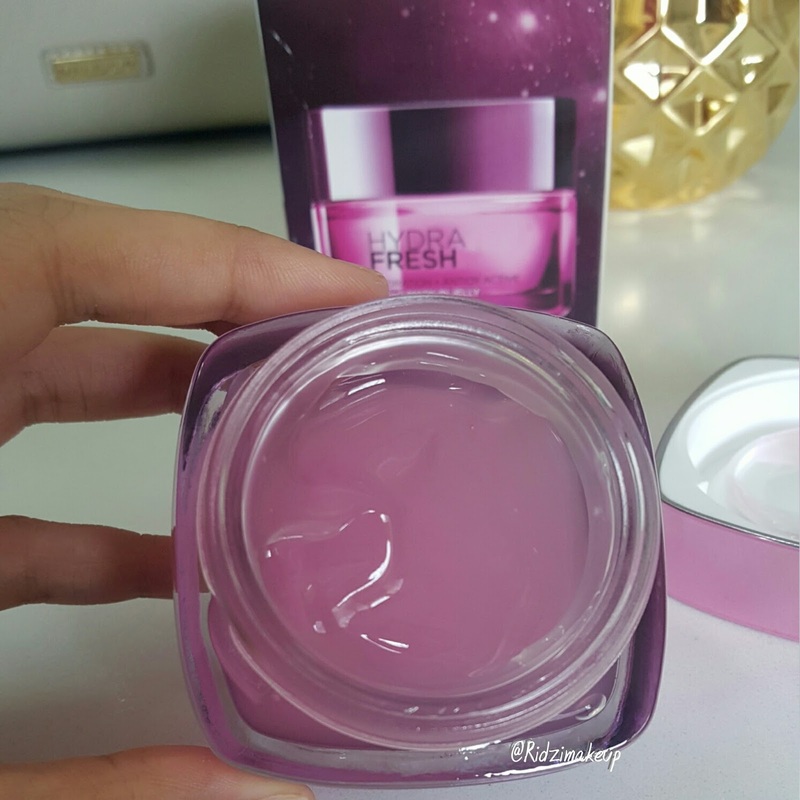 This jelly mask comes in a glass jar with plastic metallic pink cover. Packaging looks quite attractive to me. The jar also has plastic lid inside the cover for protecting the product. 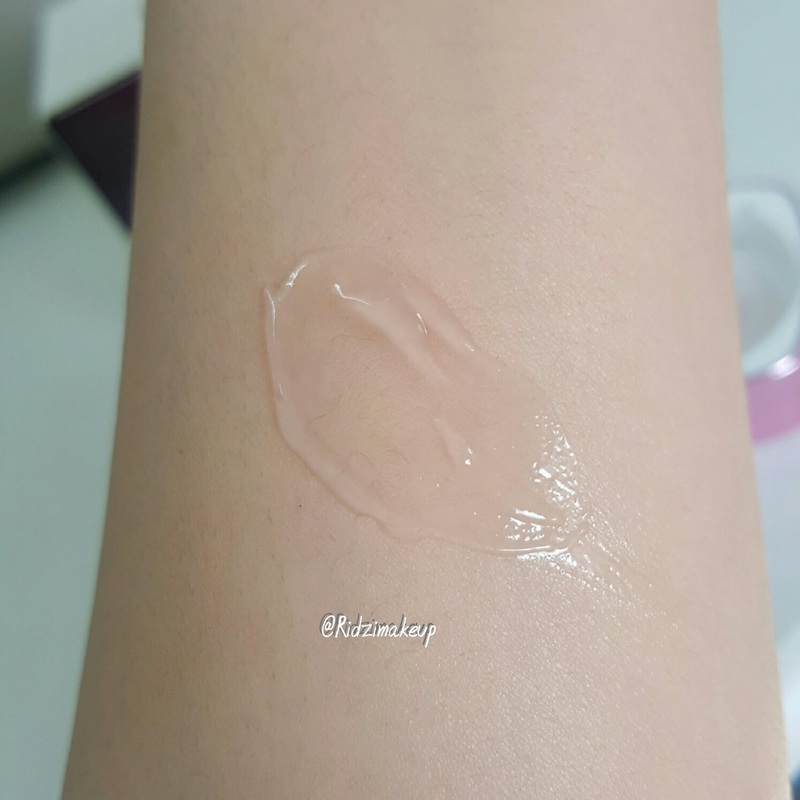 This product is not a gel based cream or something but a proper transparent Jelly which is colourless and clear. 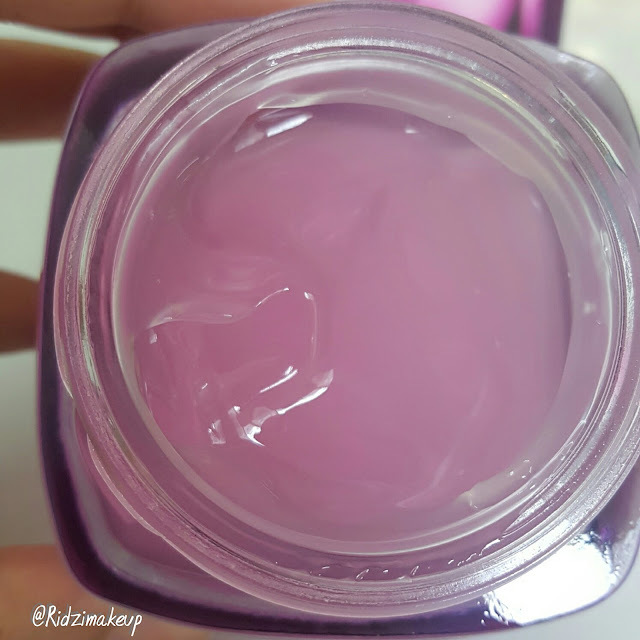 This jelly glides smoothly over skin you need a very small quantity for your face especially if you have oily skin. I wouldn’t suggest this for dry skin as it doesn’t provide much hydration. But its a great product for normal to combination or oily skin. It gives enough hydration to skin. I noticed it had a very faint fresh cooling fragrance. 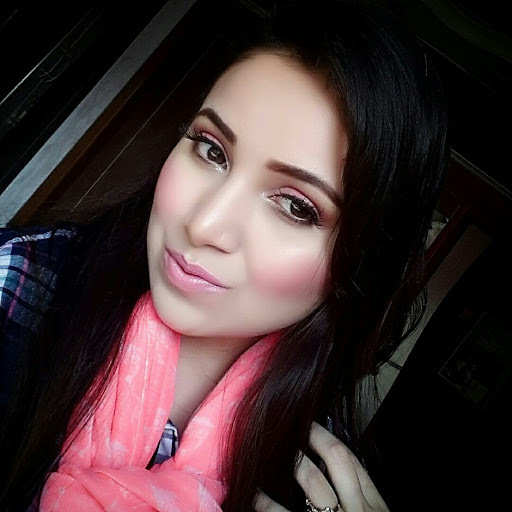 I have used l'oreal Hydrafresh icy gel which has a similar fragrance and I use to love using it during my summers. This jelly mask when applied gives cooling sensation. It doesn’t feel sticky after application. I loved how soft smooth my skin felt after application. It quickly blends into skin and gives me a glowy face. It does take time(5-7mins) to absorb into skin. Though I needed more for my cheek area. On waking up I noticed my skin didn’t gave me any oily feel in fact my T zone was glowing. My face appeared soft clear and fresh. I had applied thin layer of jelly and massaged into skin as my routine moisturiser. If you want to use it as mask you can apply thick layer of this jelly for 201 mins and then wash your face. 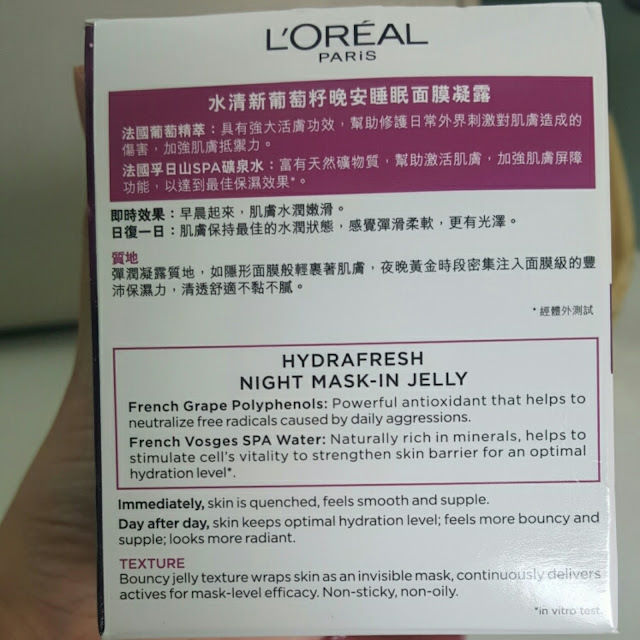 This mask is great for oily to combination skin. It gives enough hydration and suppleness to skin. It was quite comfortable when applied for overnight. It doesn’t clog my pores doesn’t not give me breakouts. No stinging, redness or any discomfort. I just felt I need to use little more on my cheeks. Overall recommended for oily to combination skin. I think even acne prone skin can use this it will give enough hydration without making your skin too oily. Girls having normal skin can also use this. You can use this product as night moisturiser. This mask is quite affordable which impress me more. Well I couldn’t find any cons about this product I would love to see if it can provide some amazing results after completing the jar. 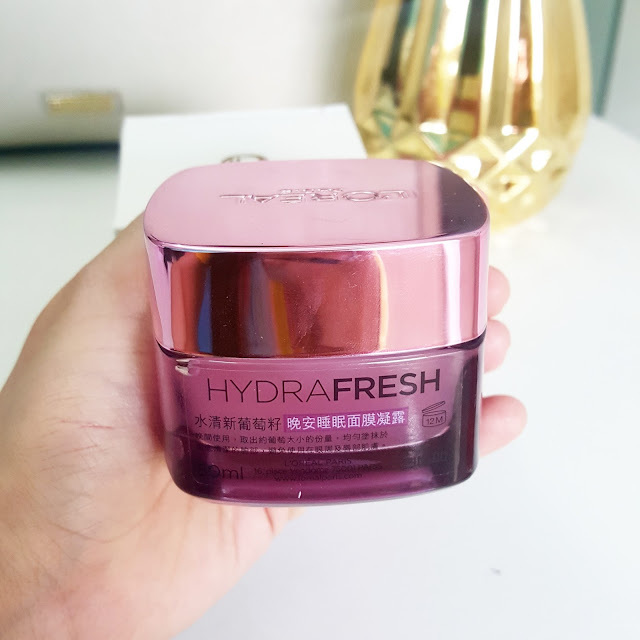 Have you tried this Hydra Fresh Night Jelly Mask whats your take on this product. Please let me know in comments down below.